Enjoy the luxury of our HideAways by L.B. Evans Roderic men’s slippers without the premium price tag when you shop at L.B. Evans. This genuine suede slipper for men from L.B. 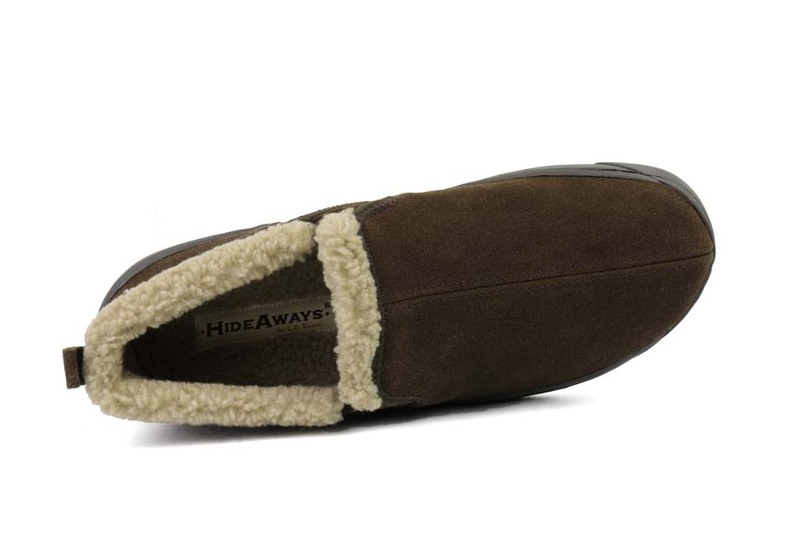 Evans’ trademarked HideAway line features a Sherpa collar and lining for soft, warm, relaxing comfort. The slipper is accented with double gore workmanship for a custom fit. 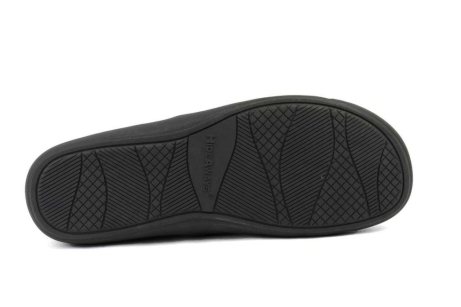 The superior quality latex foam insole padding offers comfortable, lasting wear, and the flexible, durable outsole allows you to show off your good taste indoors and outdoors. Choose yours in a traditional shade or a lighter contemporary color. Stake your claim to comfort with these exceptional L.B. 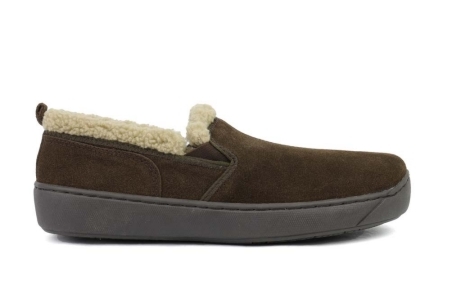 Evans slippers for men. For casual days at the office, also consider our collection of L.B. Evans fashionable, comfort-fit moccasins in regular to extra-large sizes. Comments: My husband got a pair of these slippers and he loves them...so much that he made me buy a pair for my dad for Christmas! Who also loved them the first time he put them on! Comments: Very good quality and fit a wide foot well. This site is place to order for wide feet! Comments: I ordered these for my picky husband who has a hard time finding a good fit due to his need for a wide shoe. Hooray! You had the 11 3E size he needed, and the fit is just right - plus, they keep his cold feet toasty.